When interactive kiosks in malls is a multi lingual, any visitors say for example foreigners could access the kiosk and get their required information as fast as possible. This in turn paves itself as user friendly. Information kiosk usually holds detailed information regarding banks and money exchange, emergency services, hospital, police, fire, etc which helps the public in different ways. While setting up interactive touch screen kiosk at malls, we could gain a wide range of feedback from the public, where it could be like suggestions, compliments or complaints pertaining to the product. We could also conduct surveys in order to gain additional feedback about the product. Interactive kiosk installed by mobile service providers helps customers to download new ring tones as well as serves in setting up calling back tunes. Touchscreen kiosk serves as a self service kiosk where customers could check reward points, availability of tickets, watch a movie preview, get coupons, etc while everything on their own without the help of any assistance. We could avoid long rows of queue when these interactive kiosks are installed outside movie theatres or in mall where tickets could be booked just online with just a click. It is a must to all malls especially holding multiplex theatres. With offers and new arrivals displayed as advertisement on kiosk, customers could easily get interested and look out to purchase the product. This serves in dual way, like for the advertisers where they could reach their customers and customers could navigate easily to get what they want. 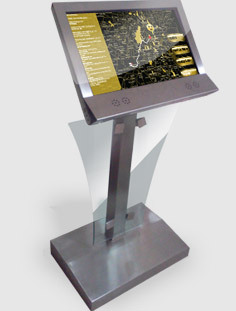 Moreover, with the help of interactive kiosk we could connect directly to the customers on a wide reach. We could be really updated with latest news, happenings, and trends in city with the help of these kiosks especially in malls. The retailers or the brand owners could enjoy more benefits as they would have a wide reach and connect consumers in every innovative way with the help of interactive kiosk at malls. As advantages are on a wide scale, it is necessary to install interactive information kiosk at every malls. This helps not only to the public but also to any emergency departments where they could provide extra care in such people oriented areas. Digital signage is playing a vital role in every mall where people are getting totally attracted with its offers and brand names. its really add value and and provide opportunity to be unique and different from others.Its really fantastic.If you follow the link below you will get to know why i am saying this with confidence.